Rumored iPhone 8 prototype now circulating the tech world! | TOKITECHIE'S BLOG Rumored iPhone 8 prototype now circulating the tech world! 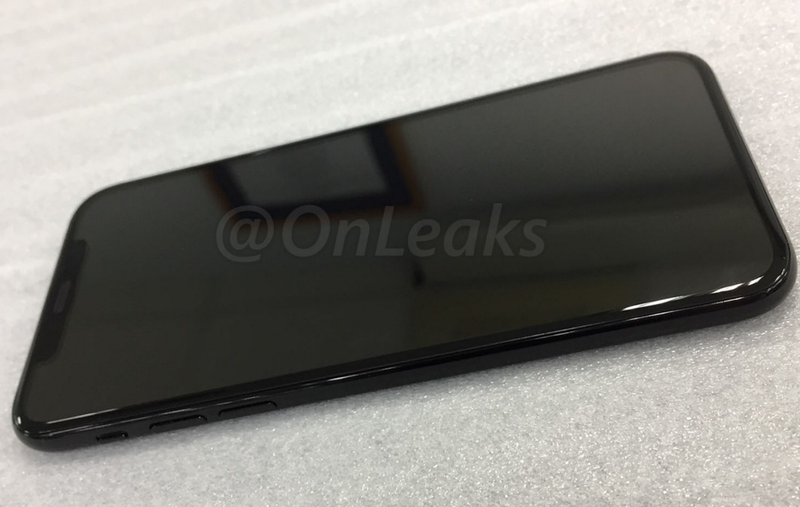 HomeiPhone XRumored iPhone 8 prototype now circulating the tech world! Rumored iPhone 8 prototype now circulating the tech world! We are now approaching the official announcement and release date of the upcoming iPhone models and I am already seeing a lot of blogs and news reports about the speculations for the possible design and technical specifications of the upcoming iPhone 8. One of the three iPhones expected to be released this year will be the 10th anniversary iPhone and there are speculations that there will be a new name to be given to the tenth anniversary iPhone to distinguish it from the "regular" iPhones. The speculated names are iPhone X, iPhone Edition or simply the iPhone 8. I personally prefer the iPhone X as X can be denoted as a Roman Numeral for the number 10. And then the next iPhones after the 7, 7s Plus and iPhone X will be called iPhone 8 and 8 Plus so the naming system won't be messed up. That may even add special flavor to the premium iPhone X/Edition/8. For the sake of clarity of this blog post and to avoid confusion to my readers, i will call the 10th anniversary iPhone the iPhone 8 because it's the first thing that comes to their minds even if my personal preference for the tenth anniversary iPhone is to call it The iPhone X. 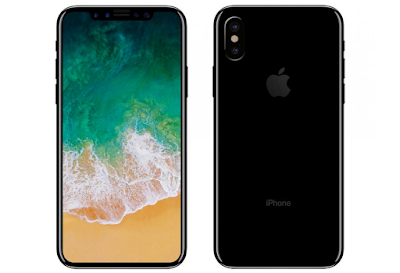 There has been no major change in the design of the iPhones in the last three years so expect a major change in the design of iPhone 8 [according the the leaked photos of the iPhone 8 prototype]. The iPhone 8 will feature an edge-to-edge organic LED display similar to the recently released Samsung Galaxy S8 but without the well-define curved edges. The iPhone 8 is rumored to retain the 2.5D curvarture on the edges similar to the iPhone 6, 6+, 7 and 7+. The photo of the leaked iPhone 8 prototype below shows that Apple has finally ditched the famous round physical home button which used to be one of iPhone's notable identification. The physical home button will be replaced by a virtual home button to be integrated to the iOS 11. I am not sure if you'll still get the wow factor for an all screen bezel-less display feature of the upcoming iPhone 8 after Samsung S8 released their stunning Galaxy S8 with infinity display but I guess most apple fans will still be wowed because there's no need for them to get away from the iOS ecosystem just to have that all screen display for an iPhone. The iPhone 8's display will be flexible plastic OLED rather than the usual IPS LCD. The iPhone 8 will use wireless charging technology. There will be two rear cameras somewhat similar to iPhone 7 Plus but the orientation of the rear-facing cameras of the iPhone 8 will be vertical. Unlike iPhone 7 Plus' the iPhone 8's LED flash will be positioned in between the lenses of the cameras. The size of the front OLED screen will be 5.8 inches with 5.15 inches of usable area. It will be water and dust resistant but instead of the current IP67 rating of the iPhone 7 and 7 Plus, iPhone X will be rated IP68. The finger print scanner will be integrated to the front OLED panel. As per the previous iPhone official release dates which fall on September of every year, the iPhone 8 is expected to be released on September as well. This is quite a hot issue right now because according to analysts' forecasts, the production of OLED panels with integrated finger print sensor will be delayed causing one to two months delay to the availability of the iPhone 8. The hefty price tag of iPhone 8 is speculated to start at $1000 for the base model. This is indeed too expensive for a smartphone. But the price justifies the fancy additional functionalities to the device making it the most expensive iPhone ever. Rumors about the upcoming flagship smartphones are becoming quite reliable nowadays. Using social media, rumors and leaks can now be easily circulated in the tech world. For the record, the iPhone 6 , 6+, 7 and 7+ designs as well as the Samsung Galaxy S8 design were accurately guessed based on analysts' speculations, leaked photos from parts and case manufacturers, and of course sometimes the leak comes from the company itself to hype the product.